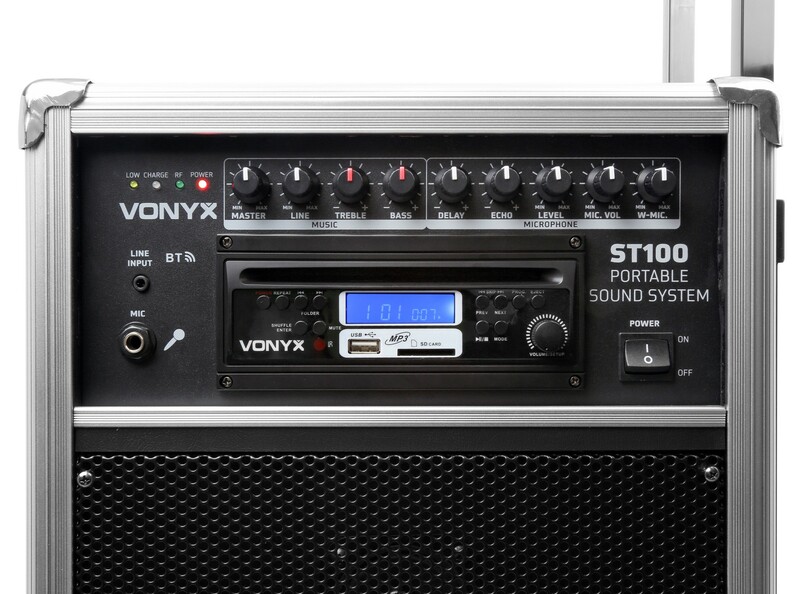 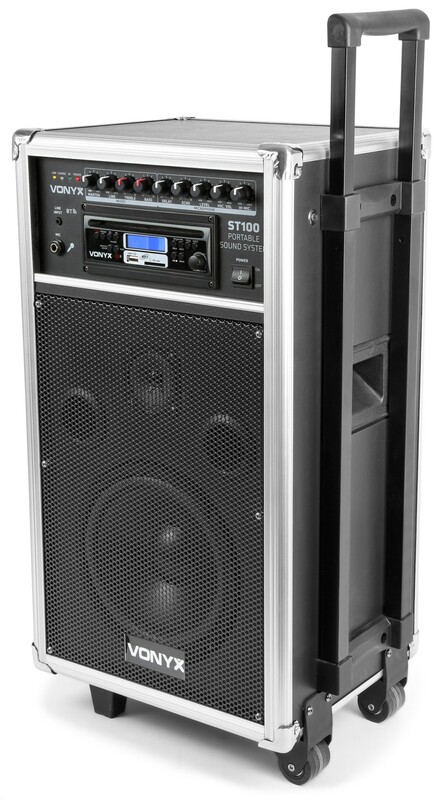 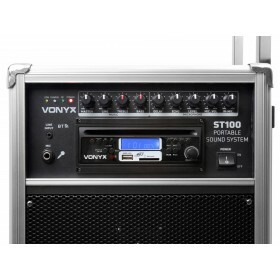 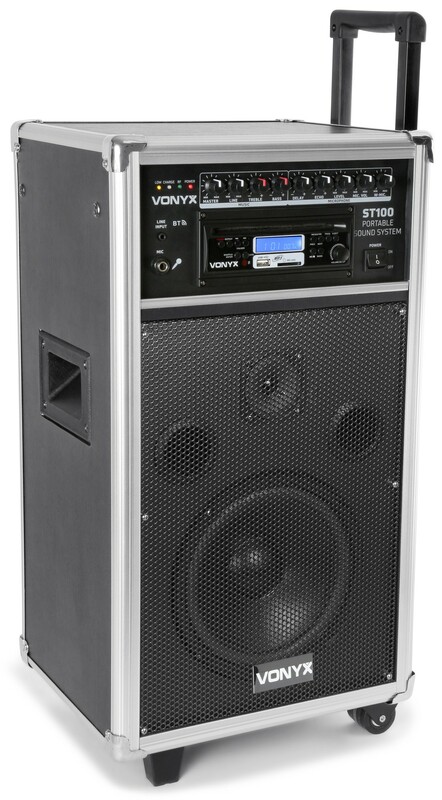 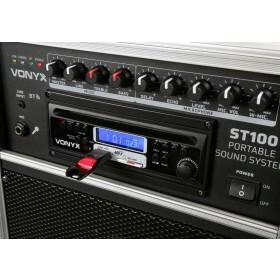 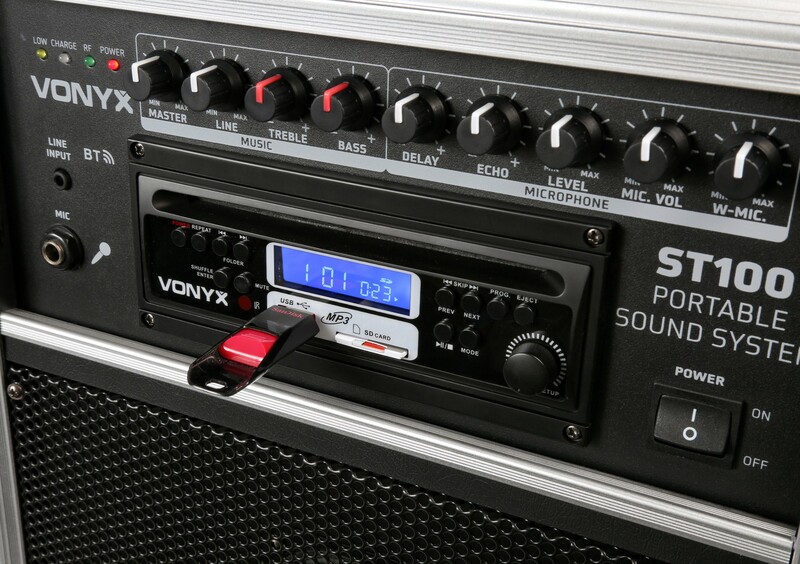 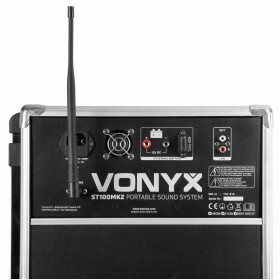 An 8'' professional portable sound system with BT-receiver for audio streaming and slot-in CD/MP3 with antishock. 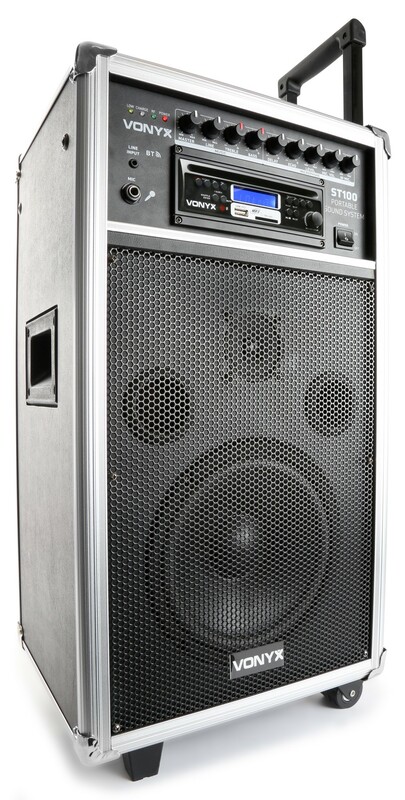 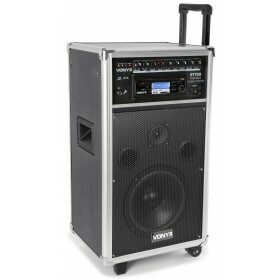 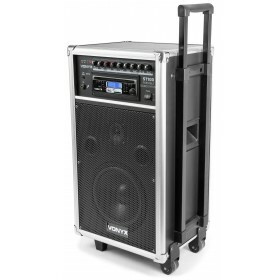 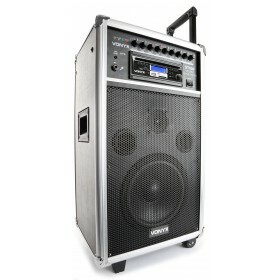 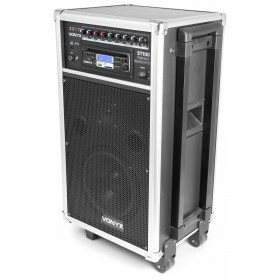 This sound system with built-in 250W amplifier and battery in a mobile housing is perfect for (karaoke) parties. 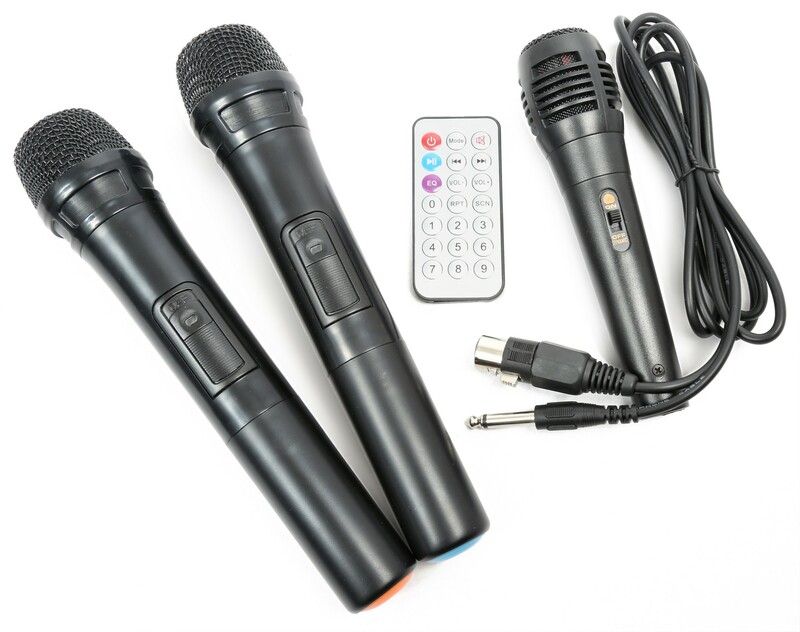 Supplied with 1 wired microphone, 2 wireless UHF handheld microphones, remote control, telescopic handle and wheels. 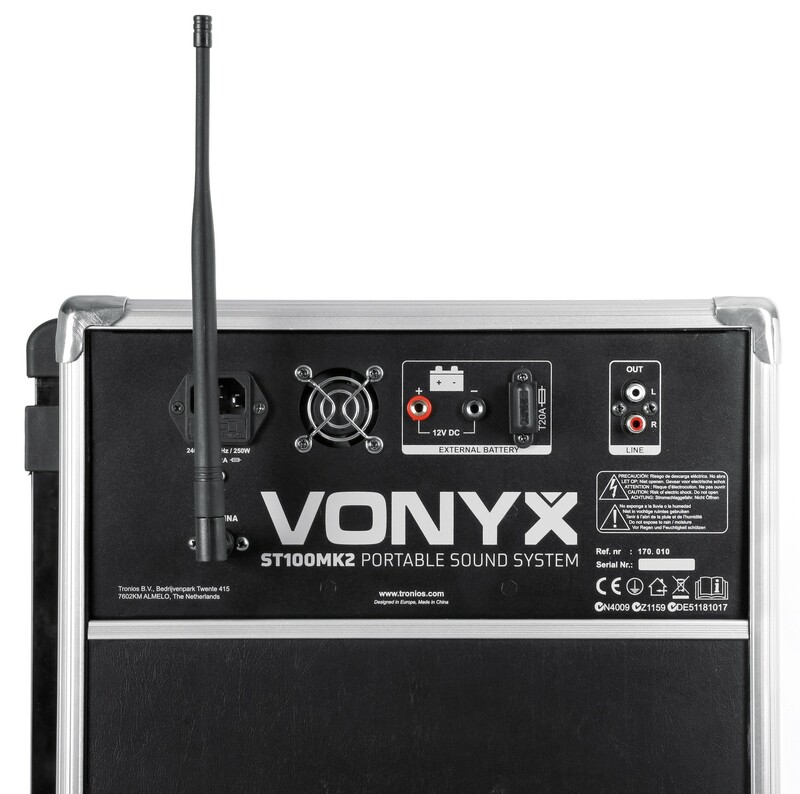 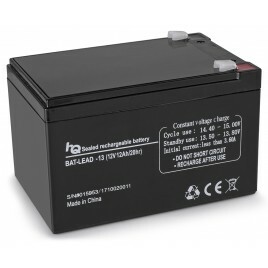 Easy moveable and can be used everywhere even if there is no mains power present. 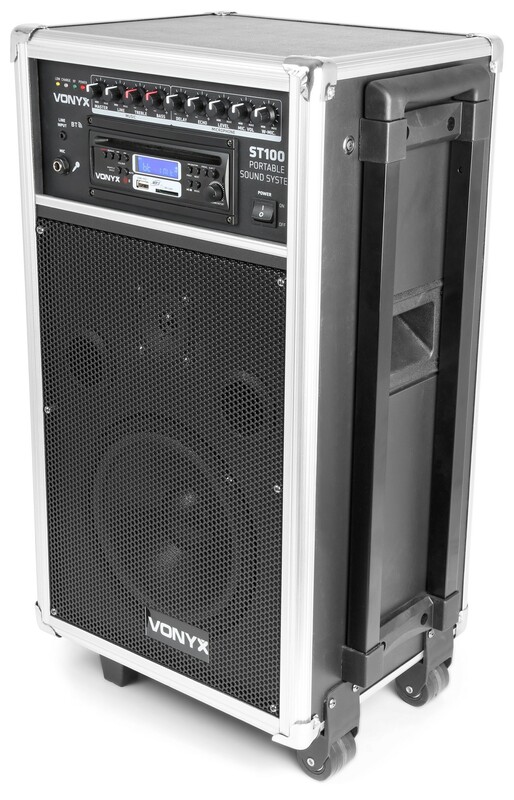 Ideal for schools, gymnasiums, dance, camping, karaoke parties etcetera.